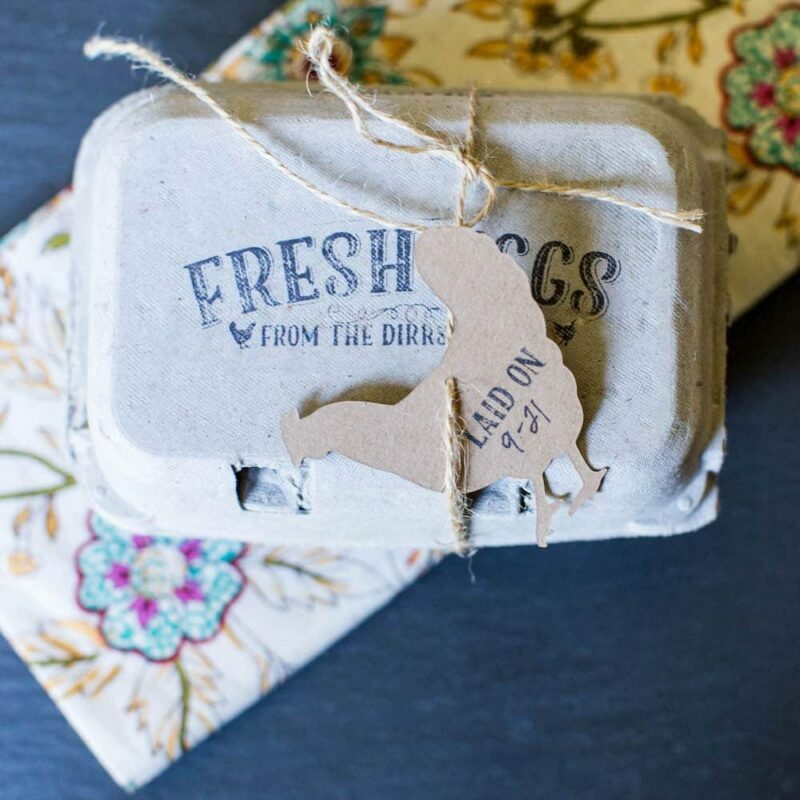 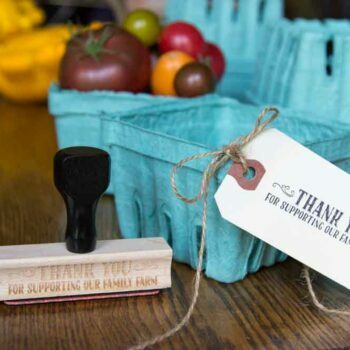 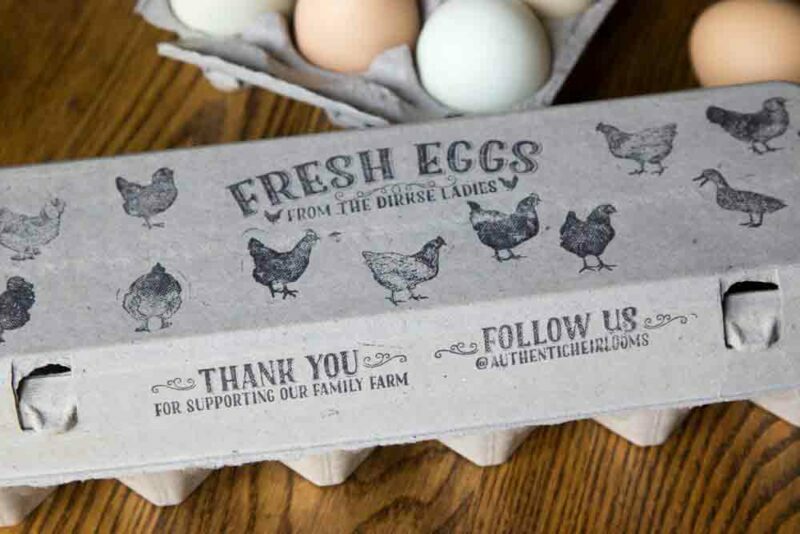 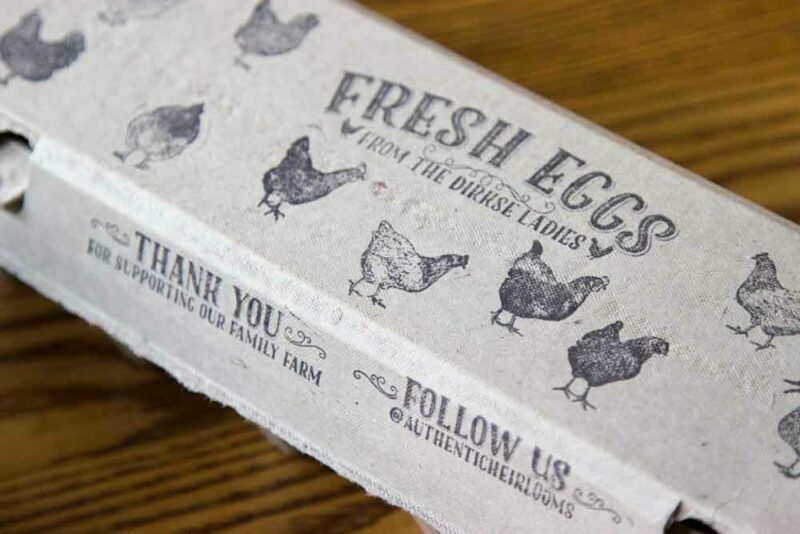 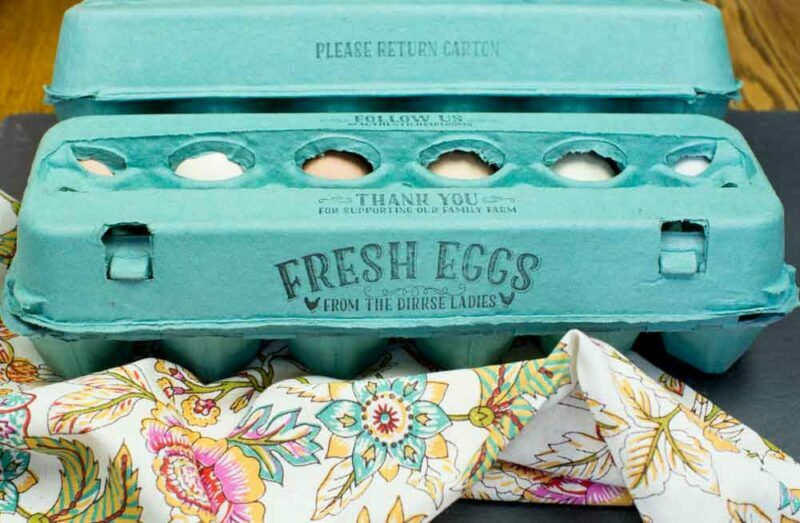 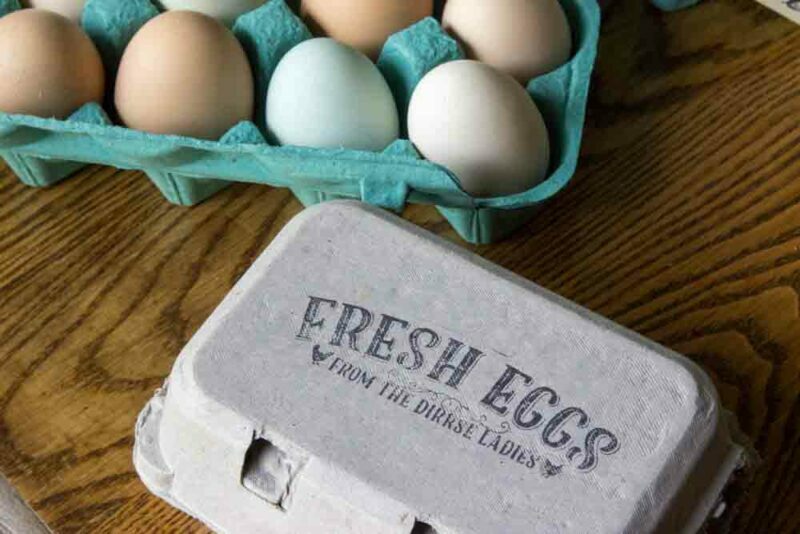 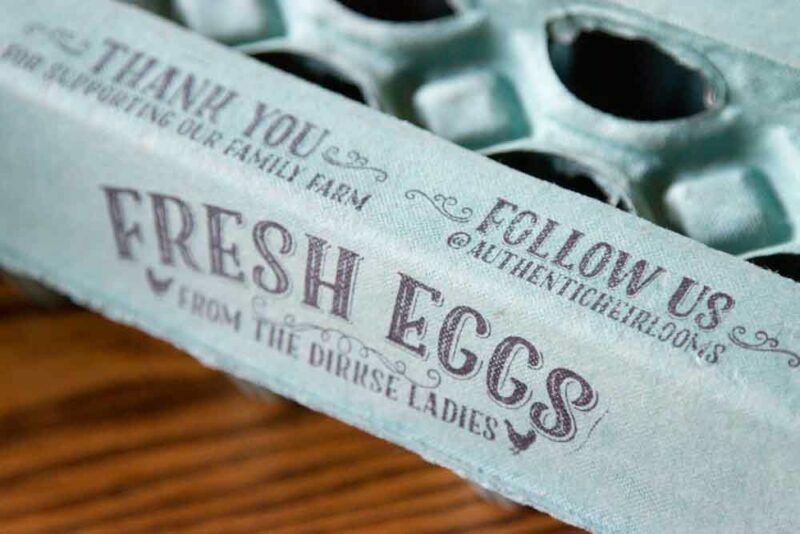 This versatile egg carton stamp lets you customize your egg cartons, hang tags and other packaging with your family or farm name. 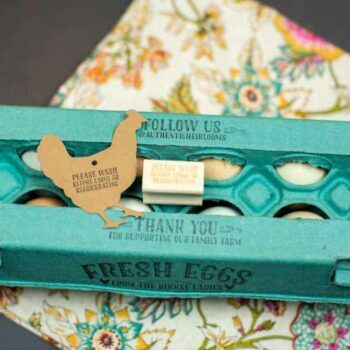 Measuring 3 inches wide by 1 inch tall, these stamps work on most egg cartons, from half-dozen cartons to flat-top and windowed full-dozen cartons. 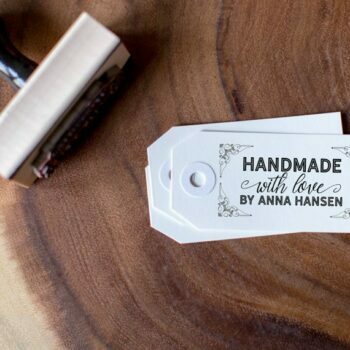 Customizable Handmade With Love Stamp – Personalized for You – Homemade with Love – Vintage Elegant Pattern – Choose Your Own Text!